City Commissioners approved the final payment for the project which altered medians at Hartford Avenue and 14th Street at Monday’s meeting. 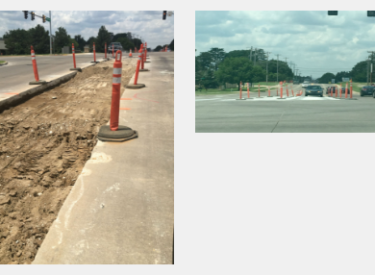 Traffic Engineering Manager Mike Lane said the project narrowed concrete medians in order to improve site lines for drivers to safely make left turns at the flashing yellow arrow signal lights. The project was similar to the project previously done at Prospect Avenue and 14th Street. Lane said there has been an 85 percent reduction in accidents on Prospect after the medians were narrowed there. He said the change order was prepared to reconcile all final pay for the project. There was a net increase of $9,988.30 because of additional repairs that were found to be necessary during the course of the project. There was also a decrease of $2,500 in the contract because of liquidated damages. The contract was originally awarded in the amount of $175,356.55. The as-built contract amount is $185,344.85, a 5.7 percent increase. The final change order has been accepted by the contractor, River Ridge, and their Surety on this project, Lane said.